Each leaf in a four leaf clover is believed to represent something different. The first is for FAITH, the second is for HOPE, the third is for LOVE, and the fourth is for LUCK. 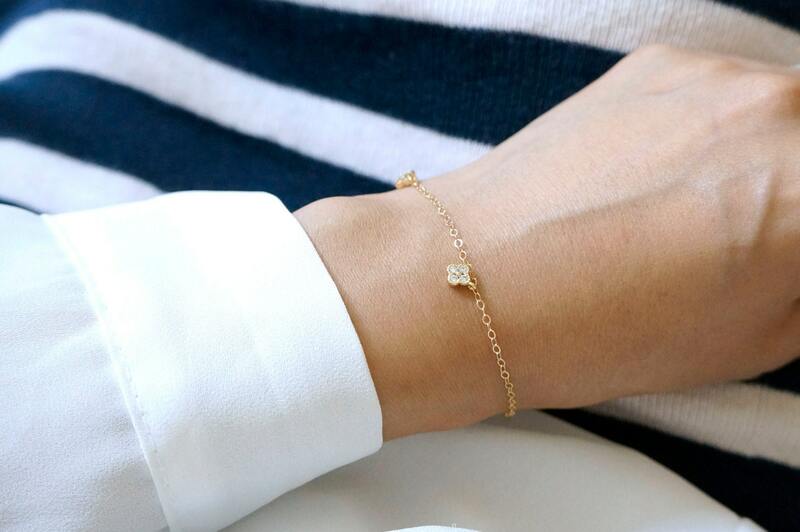 Minimal, Dainty and Simple, everyday bracelet in 14k Gold Filled.